In working with students and parents, Calabasas college counselor Fay Taragan utilizes skills honed during her tenure in the corporate and non-profit worlds, to now guide her clients as they navigate their path to college. Fay is committed to empowering high school students by providing them with the tools, techniques and thought processes to move from exploration to application to acceptance.She approaches her role as a college counselor in a collaborative way, encouraging her students to focus on their strengths and passions in order to find the right college experience. Watching her own daughter tackle the daunting process of testing, essays and applications, complicated by the terminology, Sliderooms, and acting auditions unique to a theater major sensitized Fay to the struggle high school students face to maintain balance while trying to “get into college.” With a plan, time management, and informed decision-making, she works closely with her clients to lessen the anxiety and increase the positive outcomes. Prior to becoming a college counselor, Fay devoted nearly 20 years of her time and energy to successfully establishing and leading programs for local and national non-profits, particularly Dress for Success. There, Fay worked tirelessly to empower disadvantaged women to move beyond being victims of their circumstance and regain their self-worth. Through her programs, women secured steady employment, moved from homeless to homeowner, returned to school to earn higher education degrees, and became strong role models for their children. Fay continues to serve underresourced communities as a volunteer with The Fulfillment Fund of Los Angeles, helping low income and first generation students on the path to college access and success. Before parenting and volunteerism, Fay served as Vice President for National Product Planning at Nielsen Media Research, where she forged new technology paths in software and product development. Fay holds a Bachelor’s Degree in Business Administration and Computer Science from University of Florida, and a Certificate in College Counseling from UCLA. 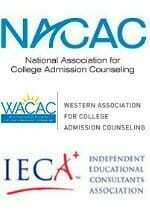 Fay is a member of the National Association for College Admission Counseling, the Western Association for College Admission Counseling and is an Associate Member of the Independent Educational Consultants Association. 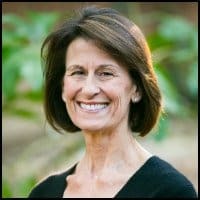 If you’re looking for a Calabasas college counselor, Fay will be an excellent addition to your team!